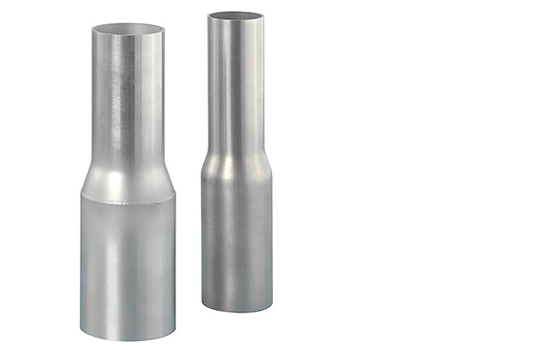 We manufacture stainless steel reducers (with concentric reducers) with outer diameters from 38,0 bis 168,3 mm. 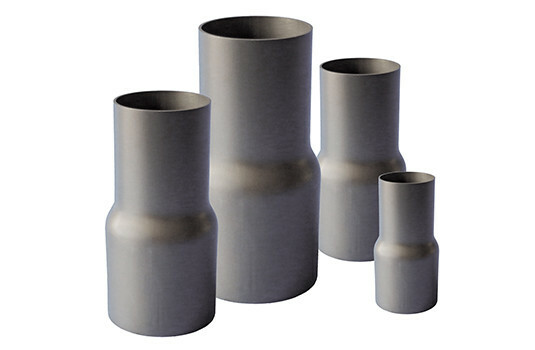 Highly wear-resistant reducers of type HVA NIRO® stainless steel are also available in all sizes and diameters. Don’t hesitate to call us without obligation on 0049 (0) 93 46 / 92 99 – 0 or send us an e-mail! As a supplier and specialist for pipe couplings, large-radius pipe bends and branch pipes for pneumatic conveyors, our high availability in all common sizes and diameters as well as a quick delivery is what makes us stand out.